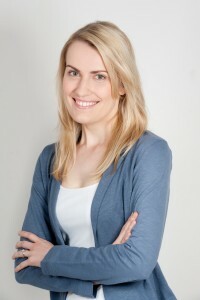 Emma is a qualified global supply chain manager with an MBA and over 10 years experience in the resources industry. While she has an abundance of expertise in business and logistics, she is truly passionate about her children and writing… a more inspiring combination. An Australian now based in the UK, Emma is undertaking to write and publish a set of children’s books that promote an awareness of health and wellbeing issues about kids to kids, in a fun and imaginative way. Emma fully utilises her corporate skillset bringing a principled, determined and pragmatic resolve to her writing and publishing venture. She has considerable personal capacity, unwavering personal standards of performance, and is a dedicated, energetic individual. As a young children’s book author, I like to outline the moral theme and general structure of the story and then just start writing. To write in rhyme you need to give in to the flow of the words at first, going with what sounds good and flows naturally. It can be hard to stick rigidly with an outline as the words tend to take on a life of themselves. If I am on a roll with the rhythm and story development, but can’t find a good word or sentence to fit the rhyme I just leave a blank space and move on. When you are having a moment of inspiration, just get it down on paper – you can always mess around with rhyming words and sentence structures later. I don’t talk with my characters as such, but I like to ensure they are identifiable with most kids and think it is important that the illustrator I work with conveyors the character’s personality in a truthful and honest way. My books feature some great young female protagonists that I want my daughters to identify with so I’m constantly getting their opinions on the story and characters and taking their feedback onboard. I recommend to always carry a notebook and pen as inspiration can strike in the strangest places – I remember excusing myself during a dinner party to write down a stanza that had just popped into my head. Also keeping a thesaurus on hand is particularly useful for finding alternative rhyming words and to open up opportunities for changing sentence structures and managing the rhythm of the story. I founded my own independent publishing platform (Watters Publishing) to support my writing efforts. I decided to self-publish rather than pursue a traditional publishing route because I realised early on that the process was about more than just getting a book out there… it was an opportunity for me to learn and grow as a person and contribute meaningfully to something I believe in and am passionate about. By taking charge of the process I have the freedom to make choices and decisions every step of the way that support my vision to create high-quality books that improve children’s lives. One essential part of this is the ability to donate part-proceeds from the sale of each book to a charity or foundation that supports a cause aligned with the book’s theme. I think that with the evolution of the ePub3 format (including animation and read-aloud features) and with more e-reading devices and apps now accepting fixed-layout ebooks structures, opportunities to distribute and market high quality children’s ebooks will increase. This, in combination with wider reaching, higher quality POD (print on demand) distribution networks presents independent children’s book publishers with complete, easy, and ongoing access to the market. Given this, I think it is likely that more indie publishers will appear in the future, and technology will continue to evolve so that ebooks become a more acceptable format for children’s books.